Mon., Aug. 3, 2015, 6 a.m.
Super Breakout introduced double mode, which gave players two paddles to keep balls in the air. Breakout was one of the first non-Pong hits for early industry juggernaut Atari. The game, designed as a deceptively addictive form of single-player Pong, has the distinction of involving the programmers who would eventually found Apple: Steve Wozniak and Steve Jobs. Super Breakout, released by Atari in 1978, added additional gametypes and used a microprocessor, rather than the original's discrete logic. Thanks to Atari's online arcade, you can now play the classic in your browser, for free! Click here to play Super Breakout, in your browser, for free! The object on the game is to remove all blocks on the screen by destroying them with a bouncing ball. Use your mouse to maneuver the paddle, keeps the ball from falling off the screen. Lose three balls, and it's Game Over. The Super Breakout version of the game came with three variations: Cavity Mode, seen above, which traps two other balls that can be freed to take out the rest of the on-screen blocks. Progressive Mode saw the screen creep in a kind of Tetris-style motion that forces the player to remove the blocks faster and faster to avoid Game Over. Double Mode gives you two paddles, essentially offering a second chance to prevent your ball from falling off the screen. Go inside the blog to learn how Steve Jobs cheated Steve Wozniak out of money to program the original Breakout, and more on developer Atari's attempts to cash in on the Pong craze of the 1970s. Breakout began as Atari founder Nolan Bushnell's wish to create a single-player version of the wildly popular Pong, which was receiving multiple "clones" from companies hoping to cash in on the new medium. He handed the reins to a then 20-year-old Steve Jobs, who had just returned from studying Zen Buddhism in India. Bushnell wanted Jobs to limit the number of chips the game required below 50, and offered monetary incentives for the most Spartan of designs. Jobs took the offer to Wozniak, whom he had met several years prior and who had already created his own version of Atari's classic Pong game. The pair eventually whittled down the number of bits required to play the game under 50, but that version of the game wasn't used because it was difficult to manufacture. Jobs hid the full amount of money Bushnell paid for the game from Wozniak, according to multiple interviews Wozniak has given in years since the release. Super Breakout employed a microprocessor, a more advanced method of game development than a logic board of circuits, which was what was used to develop the original Breakout. As a result, Super Breakout is more readily available on current hardware than its predecessor. 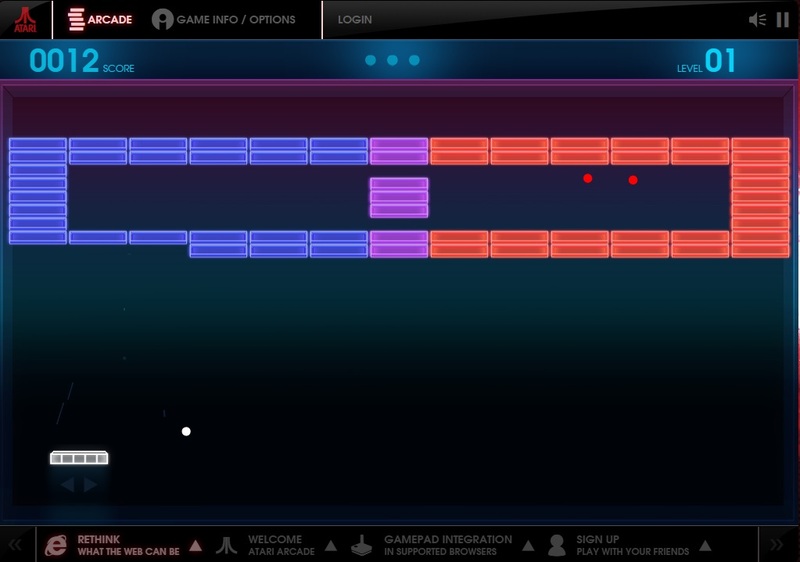 Like Pong before it, Breakout has appeared on many platforms over the years, including an incredibly addictive Java game that I wasted several of my middle school years playing clandestinely in the computer lab. The game has appeared as an Easter egg on Apple's original iPod, and its mechanics can be seen in the wildly popular Peggle. You know the story of Atari Games. The video game crash in 1983 split the company and its assets split. Atari Games survived until 2003. Atari survives today as a French holding company following a bankruptcy filing in 2013. The company is out of the business of manufacturing traditional video games. Do you have a favorite Atari memory? Do you remember the age of logic board gaming? Let us know in the comments below, and check back next week for another free title.